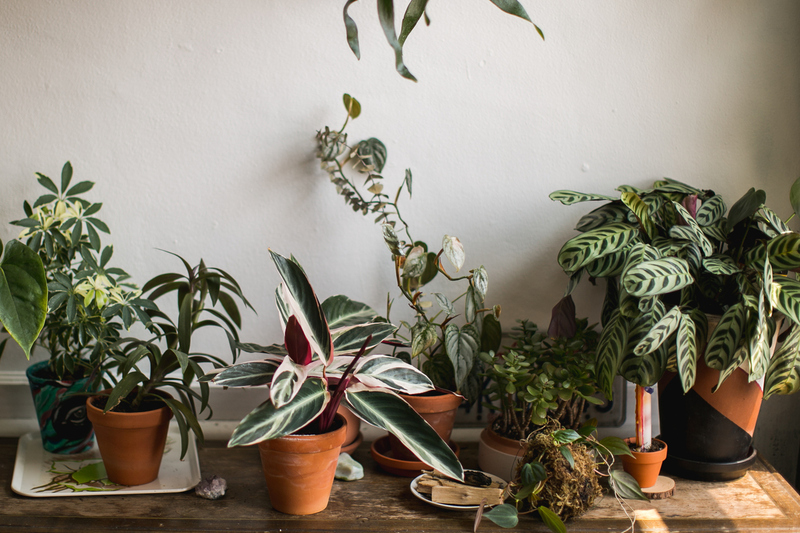 Here's a list of indoor plants which are easy to take care and are almost indestructible. 1. Peace Lily - Peace lilies can grow between 1 and 6 feet tall, so check the variety's estimated height before you buy. Bonus: These power plants can also filter toxins from the air, according to NASA. 2. Calathea - "Peacock plants" are grown for their foliage alone, and it's easy to see why. The purple, green, pink, and red leaves put on quite the show. For the best display, keep the plant moist (not drenched) and avoid bright light. 3. Rubber Plant- Rubber trees can measure over 100 feet tall in their native Asia, but regular pruning can keep the ornamental variety in check. If the broad leaves get a little dusty, bring out the mayo for a florist-approved polishing trick. 4. Philodendron- Hundreds of species of the large-leafed philodendron grow in the West Indies, Mexico, and Brazil. The plant likes low light. One caveat: "They want to be on the dry side, so don't water more than once a week. 5. ZZ Plant - The ZZ plant, officially named zamioculcas zamiifolia, is native to East Africa but thrives anywhere. Walker affectionately calls it "the king of the indestructible plants." The green tolerates the dangerous trifecta of plant-killers: drought, low light, and really low humidity, he says. A beautiful plant with dark green, shiny foliage, it grows to more than a foot tall, even indoors. "It doesn't need much water because it's got this succulent bulb the stem grows out of."